Most exciting is probably France in general, because the demonstrations promise to be massive indeed and are part of a wide social struggle (not to mention that in Metz there is also the added attraction of the CNT festival). Equally exciting and important, but in a very different way, is the demonstration against the 20 year celebrations of German unification in Bremen. 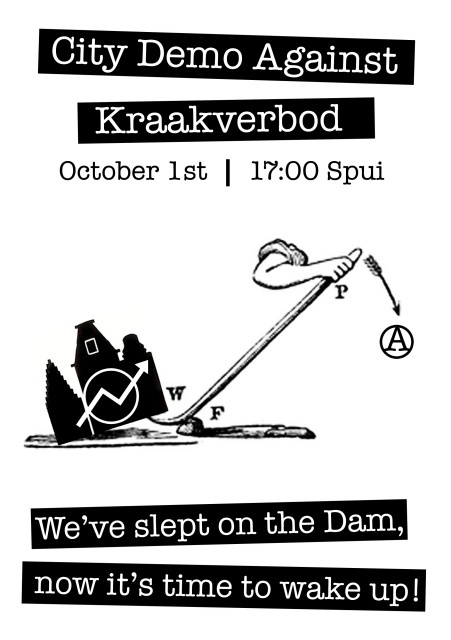 Aside from those, there is a demonstration in Amsterdam against the new law outlawing squatting (another development fit to shake ones faith in humanity…when you can no longer walk into a building in Holland with some furniture and not be breaking the law! ), and, at least in theory, the closing acts of the No Border camp in Brussels. For those of you in this region, there are also anti-Nazi activities in Halberstadt. What about us? The serious and hard-working Fire and Flames crew will be in Metz, demonstrating all day and tabling all night. The party fraction will be, ummm, elsewhere. *Bremen, 20 Years of German Reunification: You say Deutschland, we Say Die! -For those of you who missed it, the united Germany is turning 20 years old. -The occasion is used to celebrate the new, modern Germany, and a wide range of left-wing radical, extra-parliamentarian, anti-authoritarian, autonome, anarchist, and assorted other marginals will be there to, hopefully as effectively as back in 1994, send an unmistakeable message of rejection towards the state, this state, and everything this state and the other ones stand for. -Getting there? Busses from everywhere and everywhere. This one is from Frankfurt, the image is just nice. -The weeks running up to this date have been marked by many different militant actions in and around Bremen. A good overview of these, as well as other aspects regarding the demo and Bremen based politics in general, can be found at End of Road. After two very successful 24 hour general strikes, the French unions have called for a day of mass demonstrations on 02.10, in order to allow those who dont work union jobs or without jobs or who for whatever reasons cant demonstrate on a weekday to also show their opposition to Sarkozys planned reforms. Expect millions of people on the streets, in what is hopefully only a preview in the buildup to the next show of force…the general strike planned for 12.10. In Metz, „unitarian“ demonstration at noon time, CNT demonstration to the offices of the „Medef“ (boss lobby) in the evening, and concert at night.